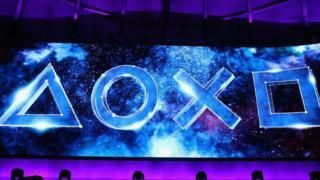 After being in development for nearly five years, Sony has started to release details about its next-gen console. The PlayStation 4 has been on sale for nearly six years, which is quite a long time for consoles. An updated system, the PS4 Pro, is Sony's most recent release, but it has been ages since we last had a major console war - and who doesn't like a console war? Both Xbox and Playstation are expected to release their new consoles in time for Christmas 2020, and PS5 lead system architect (that means he's in charge of designing the computer that is inside the console) Mark Cerny recently released some info about what we can expect. While it hasn't been confirmed, it seems safe to say that the new console will be named the Playstation 5, following the pattern of previous console names. Guess what Nintendo games are coming? Ever since the updated Playstation 3 came out, backwards compatibility is a feature that's been left out from modern Playstation consoles. Backwards compatibility means the machine is able to play game discs from previous consoles. However it seems the PS5 will only be backward compatible with PS4 games. Bad news if you're a retro gamer with a large collection of old games, the PS5's backwards compatibility does not to extend to the Playstation 3, PS2 or PS-One. It has also been confirmed that physical disc copies of PS5 (and PS4) games will be playable, which means that the new console wont be download or streaming only, as previously suggested. 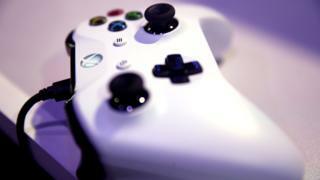 The console will support 8K resolution, which means games and films in that format are going to look very, very nice. What that means is no jagged edges on graphics and lots of pretty colours, basically. There's also a lot of development going into audio on the new console too. Meaning games won't only look great, but sound great too. The console also has something called a Solid State Drive, or SSD for short. That bit of hardware means your games will play at a much faster speed than they currently do on the Playstation 4. For example if you're playing Spiderman on the PS4, currently the fast-travel option will take about 15 seconds of loading time. On the PS5 that load time will be cut down to 0.8 seconds, and that's quick! As for the design of the PS5, the controllers or games released at launch, well... that all remains to be seen. Following Playstation's announcement, Microsoft were quick announce that their plans will be revealed at the big gaming conference, E3 this summer. At the event on 9 June, Microsoft is expected to announce its own next-gen Xbox machines, (yes, there will be more than one). So the battle of the best console has started, and we'll only truly know who comes out on top, some time in 2020. I`ve only got a ps1. I'll be sure to chain myself to Microsoft''s headquarters if they take away discs on the Xbox One. We have a PS4, but it's not connected to the internet, so we don't have some features on it.